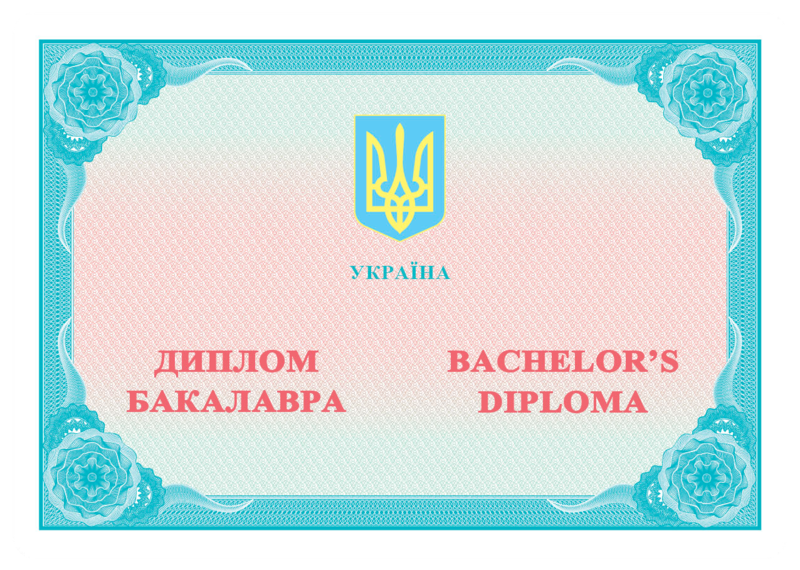 Diploma of bachelor with distinction. Front side. 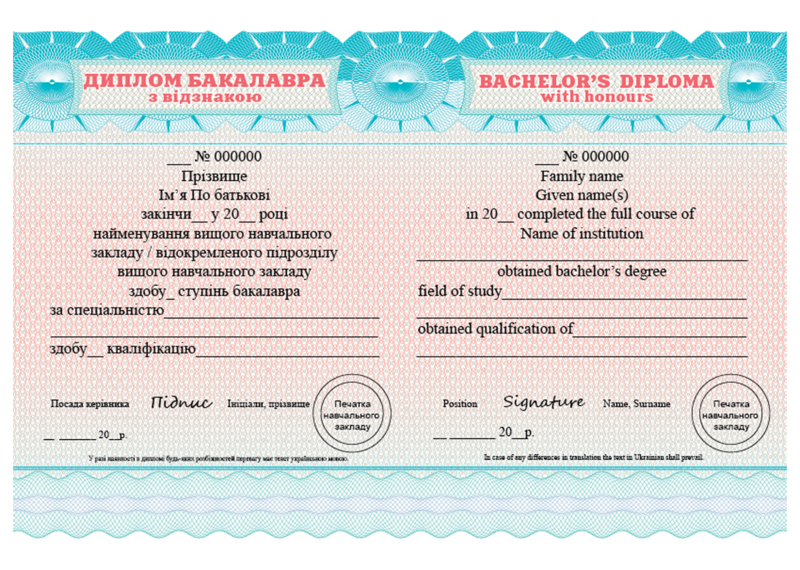 Diploma of bachelor with distinction. Back side. 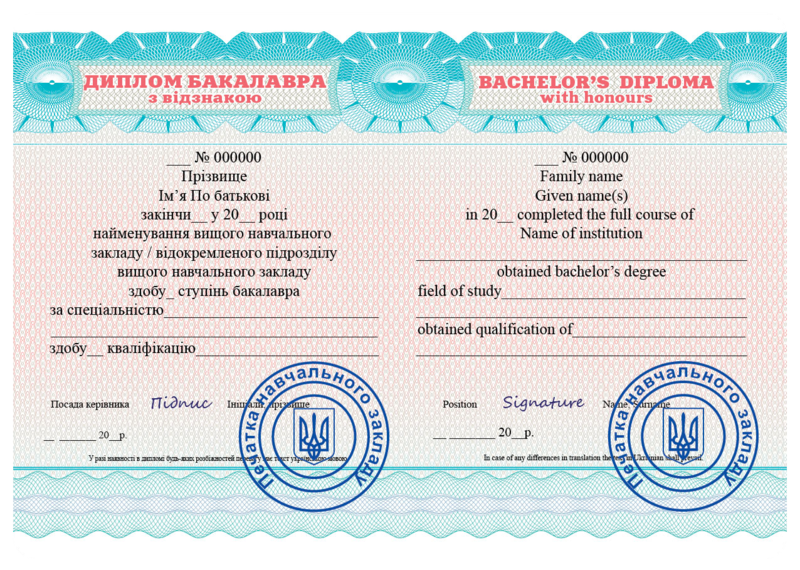 Document that confirming higher education qualification of person that completed secondary education level on the basic higher education, out fundamental and special skills and knowledge in higher education of II-IV accreditation levels on generalized object labour (activity) sufficient for the tasks and responsibilities (work) of a certain level of professional activities, provided for primary positions in a certain kind economic activity. Diploma of bachelor with distinction are getting people who have demonstrated high success during training and excellent passed state certification in the relevant field of study and qualification of bachelor. Educational Institutions create order by “Education” – software for creating database profiles of students / pupils of educational institutions and their transfer in batches to the central node requests data collection IPS “Osvita” for further processing.